About Boss Frog's - What Does Our Island Company Do? Boss Frog’s Dive & Surf started out as a small, family owned business. Our first location opened in 1989 as a small shop at Anchor Square, Lahaina. In the beginning, the shop just rented and sold snorkeling equipment. Since then, our company – still family owned – has become Hawaii’s leading full-service rental business, with shops on Maui, Kauai, and the Big Island. We rent state-of-the-art snorkel sets, surfboards, stand up paddle boards, digital underwater cameras, bicycles, and much more. 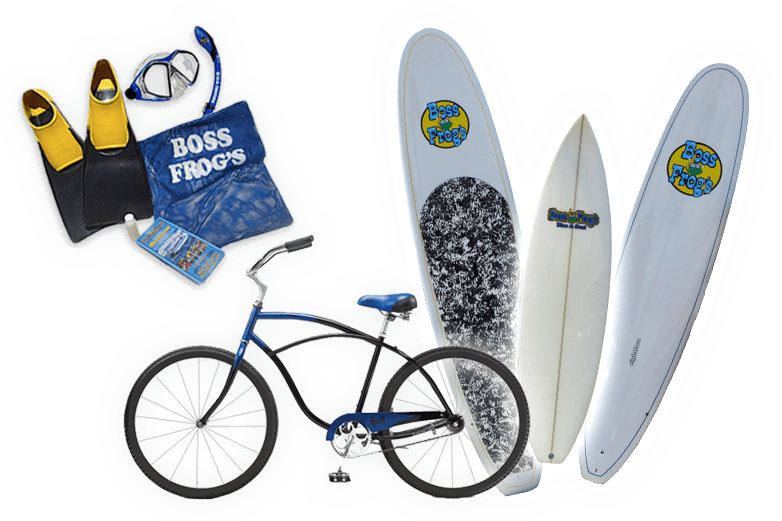 Boss Frog’s also cultivates a growing retail presence, with an extensive array of sports and resort apparel and accessories, including brands like Aqua Lung, Maui Jim and Reef Brazil. 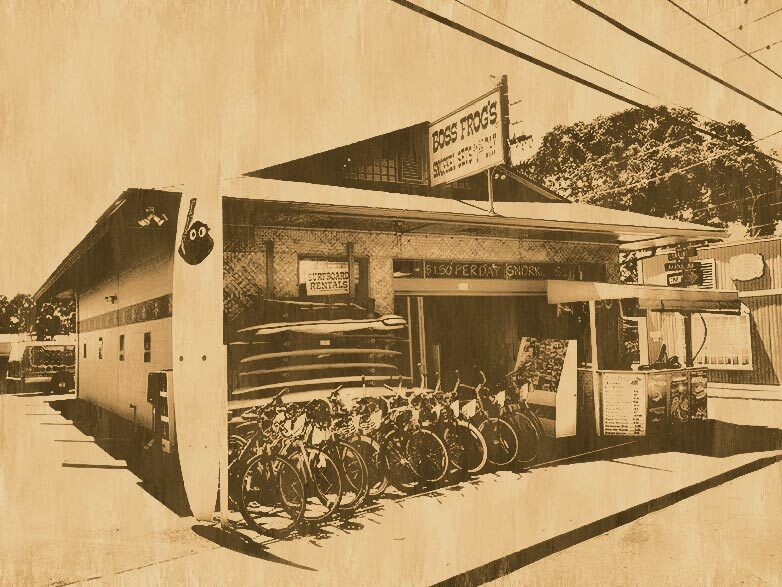 In 2011, Boss Frog’s opened a full-service bicycle shop in Lahaina for the repair, sale, and rental of Cannondale road bikes, Fuji cruisers and hybrids, and Santa Cruz mountain bikes.